It’s been a sad state of affairs for America. Since the mid-1970s, vodka has been outselling bourbon, the nation’s native spirit. It’s easy to place blame. Disco was big in the 70s, and the 80s, well… We’ll assume you’ve either seen or remember the hair. But for nearly 40 years, vodka has been king of the US spirit market. And that’s been something Kentucky has been working hard to correct. No disrespect to vodka, but it’s a neutral spirit. The best you can hope for is that it has no flavor, unless your looking for a spirit that tastes like a cupcake, in which case vodka’s also got you covered. Bourbon, on the other hand, is a complex and bold blend of flavors with a surprising depth and complexity. While vodka is filtered multiple times, at Angel’s Envy, we never chill filter our bourbon. Chill filtering can diminish the spirit’s flavor, and our bourbon’s unique port-finished taste is one of our greatest distinctions. While bourbon had fallen behind vodka in sales, the industry stayed true to the old ways and traditions. Bourbon distilleries kept creating quality product, hoping the public’s taste might shift. It was the right choice. In June, bourbon finally overtook vodka in terms of dollar sales for the first time in four decades. 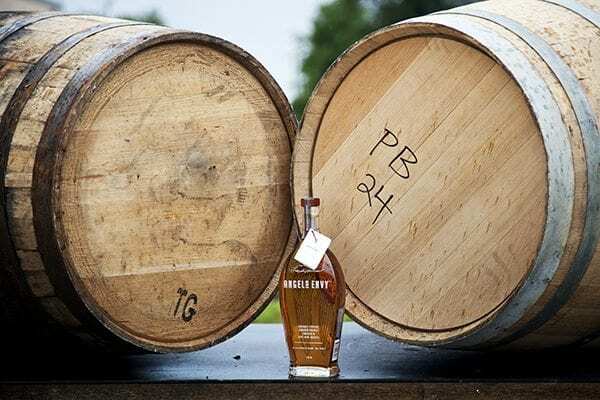 Angel’s Envy is delighted to play a role in bourbon’s rise back to the top. We are currently the 4th fastest growing super premium bourbon brand, according to Nielsen Ratings. For a small company like ours, this is incredible news, and we owe our amazing growth to all of our fans. As we continue to grow, we’ll be sure to do so sustainably. We will never let volume affect the quality of our spirits. Quality, craftsmanship and attention to detail are what have resonated with our fans, and we’re not going to change a winning formula now. So thank you all, we couldn’t be doing this if you all hadn’t been so supportive over these past few years. We sincerely thank you.